BirBilling is a new destination for most of you. BirBilling is a destination for adventure, a destination for leisure, a destination for spirituality, a destination for nature, a destination for tribal life experience, a destination to experience best family holidays. BirBilling is not far, its 500 km from national capital Delhi. BirBilling is the destination for soft adventure. Best destination for family holidays. Most of the travelers recommend it for relax holidays. BirBilling things to know and experience. Trekking to Raj Gundha, Kukkar Gundha, Bada Gran, Thathi Villages. 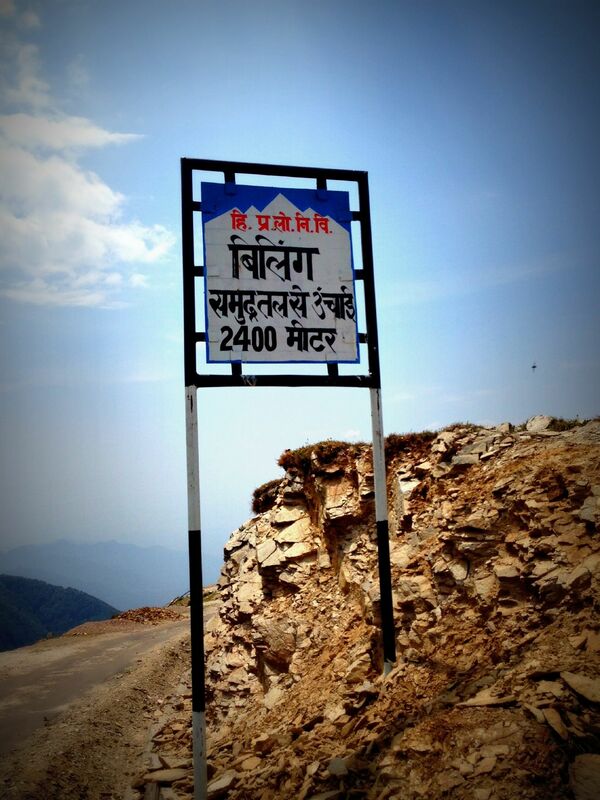 Raj Gundha, Kukkar Gundha can be covered in a day trek with 70 km drive from Bir and trek end up at Billing. All these villages are tribal and people live here are considered as Semi Nomadic. Whereas Thathi village can be approached from Camp at Bir “Camp Oak View.” Village is second home for the villagers of Raj Gundha and Kukkar Gundha. Trekking to these villages are easy and considered best for family trekking and for all ages below 65. BirBilling is a known for its people and its diversity. People at BirBilling. People here in the BirBilling valley are belongs to different ancestors and some are from foreign land. People here are – Bhangaliya, Tibitian, Pahari/Kangri and some are from Kullu valley. Bhangaliya people are those who belong to Bhangal Valley. Bhangal valley is considered as most tribal part of Himachal. Bhangal is tribal even though people here are happy to live, due to fertile land, where they grow vegetables. People are forced to hibernate in winters and waiting for summers for farming. Vegetables are exported to Punjab and other part of Himachal. Tibitian people live here in monasteries and rented houses. BirBilling is home of many Buddhist monasteries. BirBilling is destination if you want to learn Buddhism and their practices. Pulpung Sherbling monastery here is one of the largest monastery in the country. Two monasteries here teaches Buddhist students about Buddhism. One monastery entertain kid students and new monastery for young students. Pahari people are original inhabitants of the Bir and called as kangri people. Some of the people here are immigrated from kullu distt. BirBilling valley and Bhangal Valley connected with four other distt of Himachal. In Early ages some of the people of kullu shifted to Luhardi villages and then to Bir. Some of them shifted to Bir and some to Thathi village. Thathi village is group three villages namely “Chougan Thathi, Kron Thathi and Kothar thathi.” Most prominent is Chougan thathi which is centrally located and largest. Village is tribal and people here are farmers and shephards. This part is heritage of BirBilling Valley. Travel to these villages is one of the amazing experience of Valley. Learn about people and their life is real adventure. Talk to people, live in the local houses, eat local. Paragliding is the region why most of the tourist travel to BirBilling. BirBilling is one of the best detination for Paragliding. Paragliding site Billing is among safest paragliding site of World. BirBilling hosted Paragliding world cup in October 2015 and will host Asia cup in 2016. Bir and Billing are two location 14 km far from each other. Billing is takeoff point at the altitude of 2400 meter from sea level and Bir is landing site and known as Chougan at 1350 mt from sea level. Paragliding is most source of Income for locals who involve in tourism. Most of the paragliding flights here are tandem. Tandem means to fly in Paraglider with a experience pilot. Flights mostly for 20-30 minutes which cost INR 2500 Per Person. If you want to fly long then need to pay more to INR 4500/- for 60 minutes Paragliding flight. Longest flight is Cross country paragliding flight which can extended to 3 hr to 4 hr and this flight allow to fly to Dharamshala, Triund and more. Cross country Paragliding tandem flight cost you somewhere INR 15000/- Per Person. Other long used as takeoff point of Paragliding. One can learn Paragliding by paying INR 45000/- in 10 days to 12 days. This includes P1, P2, P3, P4. Which train you for solo flight in 10-12 days. BirBilling is best and safe destination to learn paragliding and for experience paragliding. Camping at BirBilling is combo experience of the destination with paragliding. Here few location which allow to camp. One can carry his own camp to pitch, but to arrange other amenities like water, food, toilets. Travel BirBilling arrange these services if one want it from us it cost you somewhere INR 1500 per person for one night stay at camp with Dinner and breakfast. Camping at 2400 mt from sea level at Billing considered as best location, but quite cold and windy if you didn’t find good spot for it. Camping at Bir means camping at Camp Oak View. Camp is located at the edge of forest of Oak and Rhododendron. One can trek to Billing from Camp. Camp Oak view is 3 km from Paragliding landing site and 18 km from Paragliding takeoff point. One can pay INR 1500/- per person for one night stay which includes your dinner and breakfast. Camping at Camp Oak view also provide easy access to Thathi, gundha villages and Palpung Sherbling monastery. Camping at BirBilling is one of the best stay option to experience BirBilling holidays. How to reach BirBilling Billing is 14 Km or an hours’ drive from from Bir. Air : Bir is 75 kms far from Gaggal (Dharamshala) airport. Daily two flights from Delhi to Dharamshala. Rail : Pathankot is the nearest railhead which is 140 kms. There are so many overnight trains from Delhi to Pathankot. Road : There are ordinary, semi deluxe, deluxe and Volvo overnight buses available from Delhi to Baijnath (which is 12 kms from Bir). Bir can be reached easily from all these towns by buses or taxi.